Selena Thinking Out Loud With Purpose will be participating in this FIRMOO UPCOMING GIVEAWAY for Three (3) Winners! I would like for you to JOIN ME! If you are a #BLOGGER and enjoy bringing your readers special giveaway opportunities, SIGN UP your blog TODAY! This is a FREE BLOGGER OPPORTUNITY with an Announcement Post on your blog to share the good news with other bloggers on your social networking sites. Win $15 Starbucks #GiftCard in Happy Win It #Wednesday! 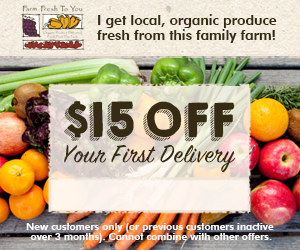 Ends Nov. 30. 2012, 11:59PM/EST Open to US. It's Happy Win It Wednesday! Selena Thinking Out loud With Purpose has joined in to congratulate My Magic Meal Plan, for reaching over 2,000 fans on Facebook! To help celebrate, they are giving our readers and visitors the chance to win a $15 Starbucks Gift Card as a way to give back! The official website for MyMagicMealPlan.com will be launching very soon! What makes MyMagicMealPlan.com so special is how they will allow you to enter the recipes for the meals that you and/or your family loves! This is what's missing in other meal planning websites. have access to recipes developed by fitness and nutrition guru, Robert Ferguson, creator of the Diet Free Life system! Selena Thinking Out Loud With Purpose will be joining in on this mega bloggers event! We are SO excited and wanted to make sure that we shared it with all the bloggers out there we knew to come aboard as well! Sign Up your Blog and read all the details at the hosts Sign Up link below! This will be big and exciting for your readers! Important: Copy/Paste: http://blog.selenabrown.com into the 'Who Referred You' box of the host's sign up form. 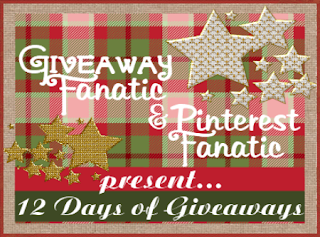 Hosted by: Pinterest Fanatic and Giveaway Fanatic. Over 30 Sponsors and $1,575+ in Prizes!!! Sign up here: Bloggers Wanted. Free #Blogger Opportunity ~ The Next 'Have It Your Way' Event! Sign Ups Open! 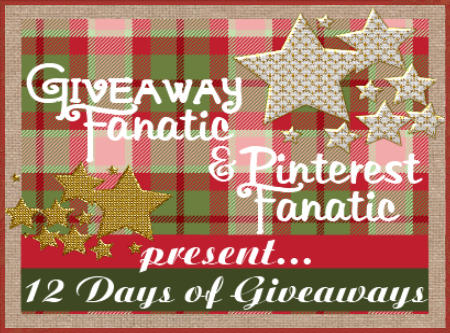 Giveaway Begins: 12/21/12! If you're a blogger, then why not give your readers the chance to win whatever they want! Selena Thinking Out Loud With Purpose, will be teaming up with some other AMAZING bloggers to bring you ANOTHER, Have It Your Way Giveaway! We will be giving away $200, in this special event! Whatever the winner wants, the winner will get! Kindle Fire, PayPal Cash, Amazing, Wal-Mart, Target! Who cares, they get just what they want! What does the Bloggers get? FREE Facebook Link - With Announcement Post! Every little girl dreams of having a very special Christmas, filled with toys of all sorts under the Christmas tree. If you are one of the two (2) lucky winners of this Girls Dream Christmas Giveaway, your little girl(s) will be in for a very special surprise! Selena Thinking Out Loud With Purpose is one of the promoters of this amazing giveaway with a Grand Prize and a 1st Place Winner. The host has provided all the details of each prize below and a Rafflecopter form for all of your entries. Good Luck to you as the Christmas Holiday soon approaches and hopefully you will be one of the lucky winners to surprise your little girl, with even more gifts, under the tree. Happy Holidays and Good Luck again! Tons of Barbie fun on three levels! Includes additional outfit, 1 extra pair of shoes or boots, sunglasses, shopping bag, shoe box, purse, 2 pairs of earrings, bracelet and brush. Walking In Christ (The WIC Project) is hosting the 2012 Holiday Turkey Blog Hop and Selena Thinking Out Loud With Purpose has joined as one of the blogs to give away a $30 PayPal Cash Prize with a Grand Prize from the host of $135 Amazon Gift Card! My Blog Prize: Open Worldwide. No entry form. It's Easy to Enter! Now, continue your Turkey Hunt by hopping to other bloggers to increase your chances of winning different prizes! Good Luck! 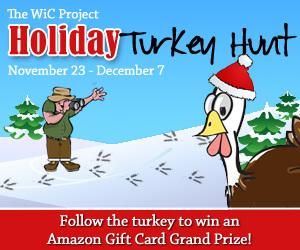 Disclosure: The WiC Project and the Holiday Turkey Hunt Blog Hop bloggers, to include, Selena Thinking Out Loud With Purpose, are not responsible for prize distribution or for sponsors who do not fulfill their prizes unless it is noted that they are self-sponsoring the prize(s). It's Thanksgiving Day and also the beginning of the Wii U and $200 Game Stop Gift Card Giveaway! The winner will be chosen just in enough time for Christmas so learn all about the prizes. Special thanks goes out to all bloggers who are participating in this holiday event! Selena Thinking Out Loud With Purpose is excited to be sharing this very special event with the readers and guests of this blog! Enter the Giveaway Below and most of all, Good Luck! AND...Game Stop Gift Card where you can purchase all your Wii u games! Once (1) lucky person will win it all!!! Simply enter via the Rafflecoper below. Disclosure: Selena Thinking Out Loud With Purpose is not responsible for the distribution of all prizes. The host will contact the winners directly to deliver prizes. Thanksgiving is Officially Here! You are in for a HUGE treat with all of the holiday fixings so why not enter this HUGE giveaway for the little boy in your world too! There will be Two (2) Winners so there is a greater possibility to win! The hosts below have done a great job of explaining the prizes. See what you'll win if you're the lucky entrant and make sure to use the Rafflecopter form below! The richest, deepest and most engaging handheld gaming lineup. Two (2) Lucky winners will win! For your chance simply enter via the Rafflecopter below. Disclaimer: Selena Thinking Out Loud With Purpose is not responsible for the delivery of prizes. The host will contact both winners directly for mailing information for prize distribution. Promoted by: Selena Thinking Out Loud With Purpose, who could not think of a better time to help support a very special giveaway! The holidays are upon us and if you're into animation, video games, technology, or just want to have a good time with friends on your very own PlayStation 3 and more, then this will be the prize to win. PlayStation 3 Uncharted 3: Bundle Giveaway! The PlayStation 3 320 GB Uncharted 3; Drake's Deception bundle provides the action and adventure, as well as the unique blend of entertainment, excitement and fun that PlayStation 3 is famous for. a PlayStation Plus 30-day voucher and standard cables required to get playing (HDMI cable not included). and you have the perfect means to enjoy the world of modern digital entertainment. We have now arrived in the holiday season of giving and One (1) lucky winner will win a PlayStation 3 Uncharted 3: Bundle. Giving back is very important to me. I know deep down that my ultimate purpose in life is to acquire the tools necessary to help people. I was so happy to be invited to the Turkey Drive for the Homeless event at the Universal Studios City Walk, Infusion Lounge. There were many happy faces in the building who were as grateful as I was to give back this Thanksgiving holiday season. It is necessary for us all to set examples for others. As we mature and grow into our gifts and talents we must also not forget to give as much as we receive. To know that my turkey will be on the table of a family in need or those who are homeless gives me great joy. I have a question for you: What will you be doing this year to help someone? This holiday, I'm wishing you a very special Thanksgiving with family and friends." Jenn's Blah Blah Blog & Pink Ninja Media. Selena Thinking Out Loud With Purpose loves candles and I just had to be one of the promoters for this Hidden Treasure Candles Giveaway. If you're not familiar with these candles, each of them have jewelry inside of them that you will absolutely love! I believe you can never get enough of the pleasant scents that come from candles. Good Luck and Enjoy! Five Winners will received TWO Hidden Treasure Candles Each! Like always, winner chooses their candles, so head on over to Hidden Treasure Candles and check out their fabulous scents. To enter, use the Rafflecopter form below, must be 18 years of age. Disclosure: Selena Thinking Out Loud With Purpose is not responsible for the shipment of prizes. All winners will be notified for shipping information by the host and sent from Hidden Treasure Candles company. No monetary compensation was given for promoting this giveaway.